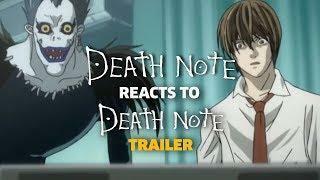 What would be the reaction of Death Note Anime Characters when they discover the Netflix Death Note Tailer for the first time ? I’m a huge fan of the manga and Anime. Did not really expect the movie to go this way so let’s wait and see what Netflix will bring to the table this August. This is a mashup parody. No copyright infringement intended. Update : I just found out that someone already had this idea 3 months ago for the teaser.